Year 2012 will be the one that is going to witness most of the happening in the car world. Recently it was Chevrolet Tavera Neo 3 BSIII that rocked the MUV market in India and now the American car maker has launched the Tavera Neo 3 BSIV version. The Toyota Innova rival now qualifies to give the Japanese MUV fight in much more cities than before. 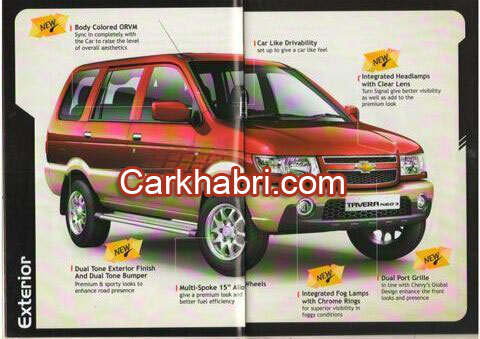 The Chevrolet Tavera Neo 3 BSIV price starts at Rs 7.51 lakh and goes up to Rs 10.34 lakh for the top end model. With the BSIV compliant version in, Tavera will now be able sell in big cities where the latest pollution norm is applicable. With the Tavera Neo 3 BSIV launch it is expected that Chevrolet will witness a sudden boost in its sales. 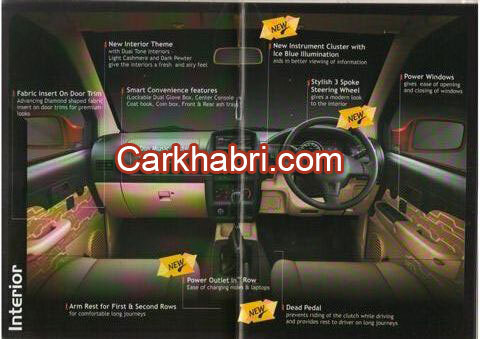 Meanwhile, just ahead of the launch the Tavera Neo 3 BSIV brochure leaked and as soon as it was out all the paparazzi and auto enthusiasts were after it flooding the internet with queries about the BSIV version of Neo 3. A close look at the features of the new BSIV Neo 3 reveals that it is more attractive from the exterior and interior equally. Auto enthusiast and car critics made regular visits to the Chevrolet sources after the unveiling at the Auto Expo to have a glimpse of the new BSIV Neo 3 but in vain. The brochure leak came to their rescue and it reveals some features that will certainly outshine Innova in many aspects. The new Neo 3 sports all new advanced version of 106.8 PS, 2 L TDCi diesel engine that is not only powerful but will make the new Tavera much more frugal that too with minimal tailpipe emissions. 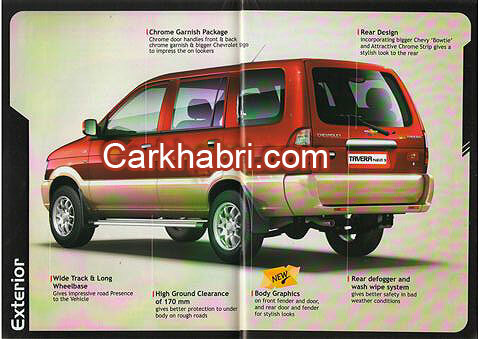 The new Tavera is expected to deliver a mileage of 12. 26 kmpl which is more than that of Innova or the newly launched new Mahindra Xylo. The front of the car sports a dual grille akin to the Captiva 2012 SUV. The grille continues to house the big Chevy badge in style. There is greater use of chrome at the front, on the door handles and there is body graphics that makes it more sporty than the BSII and BSIII versions. Enter inside the MUV and the dual tone interiors will certainly captivate your attention. Illuminated in ice blue, the interior present a blend of comfort and convenience along with it entertainment is taken care of by the 1DIN music system.